December 29, 2016, New Delhi : The CBSE set deadline of 15th December, 2016, issued to the schools for mandatory disclosure of fee has passed but many schools have still not adhered to the order. CBSE had asked all its affiliate schools to update key information relating to developmental, infrastructure, facilities, policy among other details, on its official website. This deadline was earlier extended from 30th Nov to 15th Dec, giving some extra time to the private affiliate schools for action. 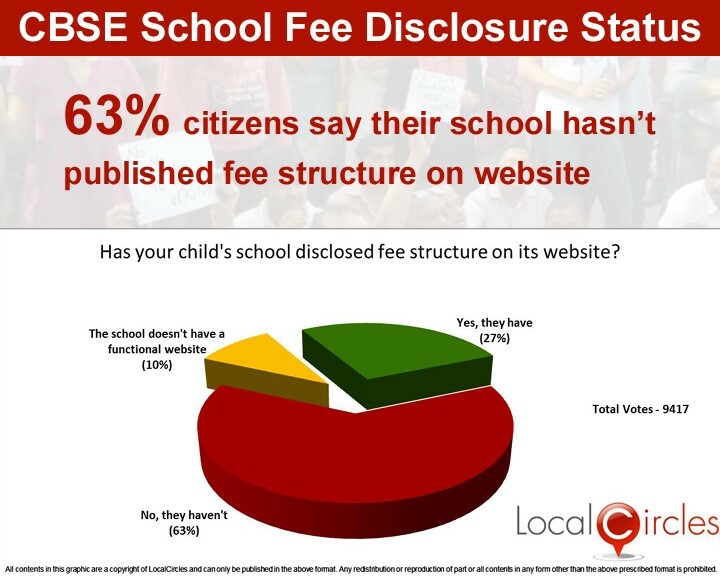 Out of over 18000 schools that are affiliated to CBSE across India, around 14000 schools have said that they have shared their fee structure via a link to the website but in a citizen survey conducted by citizen engagement platform LocalCircles, 63% citizens are saying the their child’s school has not furnished the fee details on their website. Only 27% said that their school’s website was up to date with the details and 10% said that their school does not even have a functional website. 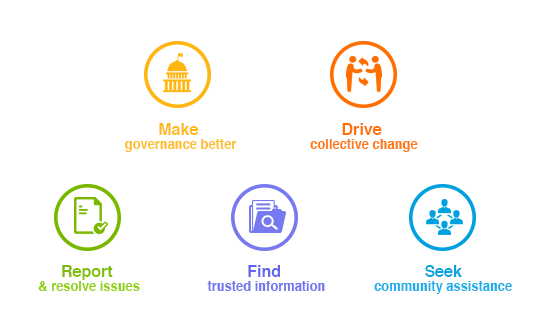 This survey which was conducted in 10 major cities, namely Delhi, Ghaziabad, Gurgaon, Noida, Mumbai, Hyderabad, Bangalore, Chennai and Kolkata, had over 9000 responses. The issue of school fees is a highly emotive issue as it deals with the future of not only children but also the future of the country. The normal rules of economy do not apply on school fees as consumers/parents have a very little flexibility to change or shift once they have chosen a school. A lot of parents have shown their helplessness about the increase in school fee every year and have been unaware about detailed breakup of the fee. Many parents have complaint that the actual school fee turns out to be much more than what is published during the admission process. 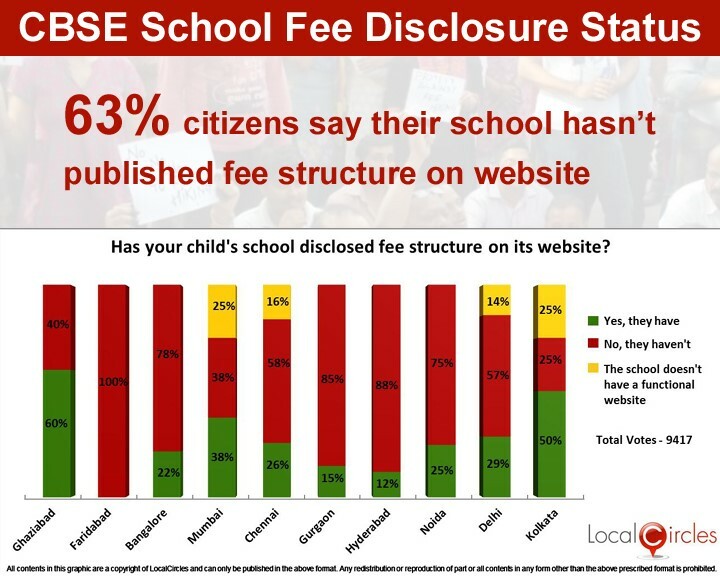 In this latest survey, citizens from across 10 major cities were asked to specifically go to their school’s website and check if the fee structure was available. 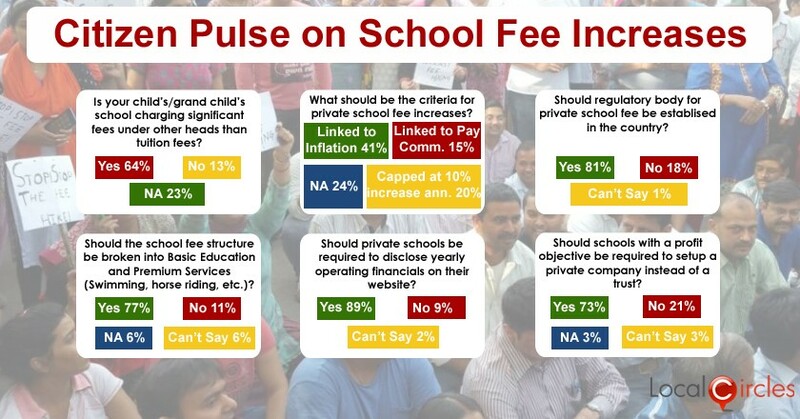 Kolkata, Ghaziabad and Mumbai had the most positive responses with 50%, 60% and 38% parents saying their schools have published the fee structure on the website. Faridabad, Hyderabad and Gurgaon schools seems to be the worst followers of the CBSE directive with no schools in Faridabad following it, 12% in Hyderabad and 15% in Gurgaon publishing the fee structures respectively.